If the words Heritage Neighborhoods mean you’re thinking nostalgia, tradition and history, then you simply must see the NEW Heritage Neighborhoods of Prairie Trail. Prairie Trail is all new. New urban design with businesses and greenspace integrated into the neighborhoods. So, walk for coffee or dinner, bike the trails, enjoy the parks. It’s all right here! New restaurants and bars. New fitness and entertainment choices. New shopping, too. Love fashion and home furnishings? You’ll find the best local entrepreneurs are here. 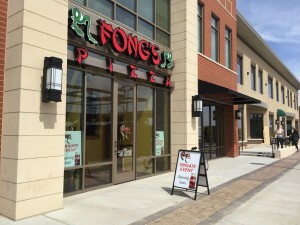 New businesses are choosing to open in The District at Prairie Trail everyday! They are creating new experiences for more shoppers, more diners and more people who want to have fun and enjoy today’s Prairie Trail lifestyle. There is history here, too. Afterall, the masterplan for Prairie Trail is based on the best traditions of Iowa’s great neighborhoods. Walkable tree-lined streets, gracious boulevards and architectural design styles are signature elements of this community. The all new Heritage Neighborhoods are all that and more. 3 Great Heritage Neighborhoods in the Center of it All! These new neighborhoods are located between SW State Street and Ankeny Boulevard. Heritage Village is so close to The District you can take in the sights and sounds of the entertainment center of Prairie Trail. Walk right outside your door and you’re in the new Town Center greenspace, a few more steps to a movie, dinner or the new library. All are just beginning construction Fall 2018 and early 2019. Choose single-family options or the new District Brownstones. Build a new custom or choose a newly built, move-in ready spec home by MJ Properties. It’s right here. Right now. Heritage Park, the Heritage Townhomes and Heritage Neighborhood are located across the street from three Ankeny community schools: Ankeny High School, Southview Middle School and the new elementary school, which is soon to be underway. You could walk from any of these locations to The District, but you might choose to drive. If so, it’s just 5 minutes away with plenty of free parking. Choose new single-family options or the Heritage Townhomes by Hubbell Homes. The people of Prairie Trail are making their mark on this new community. Events abound, like Fong’s Fest, the Country Music Bash, FriendsGiving, Puppies in the Park, Pigtails Bike Ride and the 2017 Holiday Stroll: Dazzling in the District. There’s so much more to come! You’ll find many open houses on the weekends. Come and see inside the newest residential living options in Prairie Trail and get the inside scoop. You will be able to see the actual plans in progress and learn more about the newest additions to Prairie Trail. The Heritage Neighborhoods of Prairie Trail are a smart choice for today’s lifestyle and a smart investment for the future. Share the post "Heritage Neighborhoods at The District"